BELL, Fla. - A once-convicted felon killed six of his grandchildren, including an infant, his adult daughter and himself in a shooting at the man's home in a small North Florida town Thursday, a sheriff said. Gilchrist County Sheriff Robert Schultz at a news conference identified the man as 51-year-old Don Spirit. Family members confirmed to CBS News affiliate WJAX that the daughter killed in the shooting was Sarah Spirit. Schultz said a deputy who arrived on a report of a shooting in the afternoon made contact with Spirit who then committed suicide. Authorities then found the other seven bodies. At a later news conference, Schultz released the names of the victims. They were Sarah Lorraine Spirit, 28, Kaleb Kuhlmann, 11, Kylie Kuhlmann, 9, Johnathon Kuhlmann, 8, Destiny Stewart, 5, Brandon Stewart, 4, and Alanna Stewart, who was born in June. Schultz said Spirit was the only suspect and that some people were left alive at the home. Schultz also said Spirit had a criminal history. 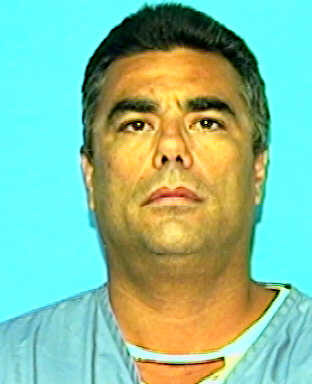 According to the Florida Department of Corrections website, Spirit was released from prison in February 2006 for a gun charge. Schultz wouldn't say if a weapon was recovered or what sort was used. He didn't have a motive but said deputies had been to the home in the past for various reasons. "There's still a lot of unanswered questions. There's going to be questions that we're never going to get answered," he said. He wouldn't release more details about Don Spirit or when he first made contact with the deputies. He also wouldn't divulge where exactly the victims were found, though he said, "They were certainly all over on the property." Police had cordoned off the length of a dirt road leading to the home near Bell, a town of just 350 people about 30 miles west of Gainesville. "Keep this community in your prayers," Schultz said. "Tomorrow's going to be a hard day in Gilchrest County."